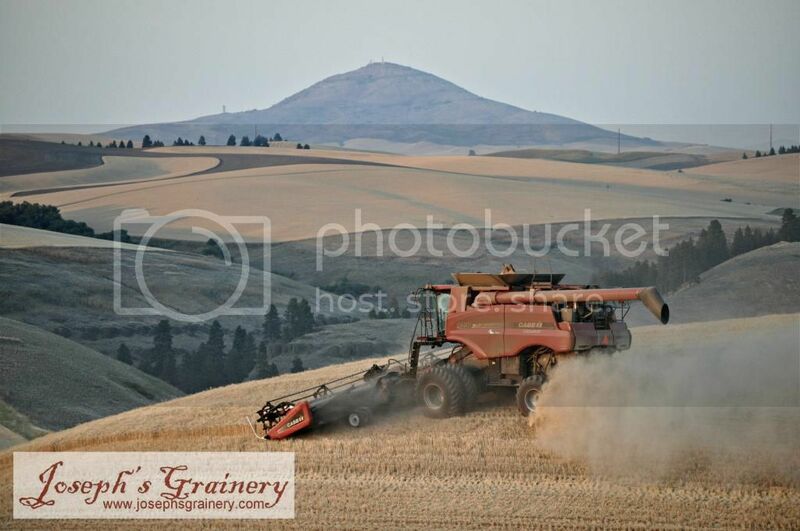 That's right, we're smack dab in the middle of harvesting the 2013 crop of Joseph's Grainery Whole Grains. 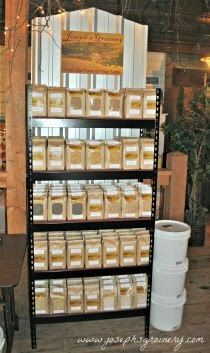 Even though harvest means long hours and hot days, it's our favorite time of year. 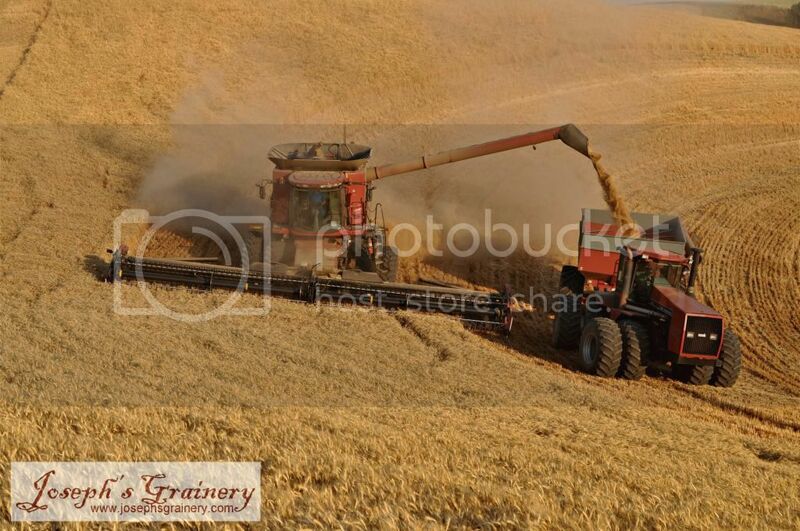 On the other side of the combine, the tractor is pulling a grain buggy, which the combine is filling with grain. 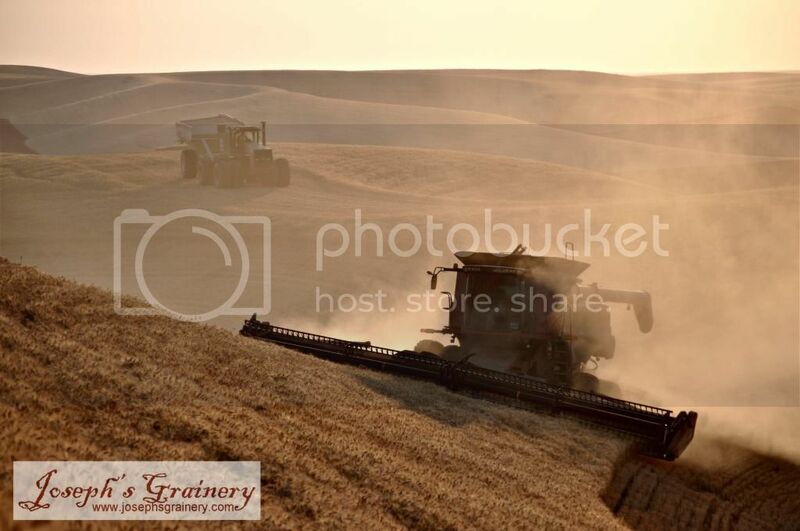 To navigate the beautiful rolling hills of the Palouse region, we have hillside combines equipped with self-leveling mechanisms. 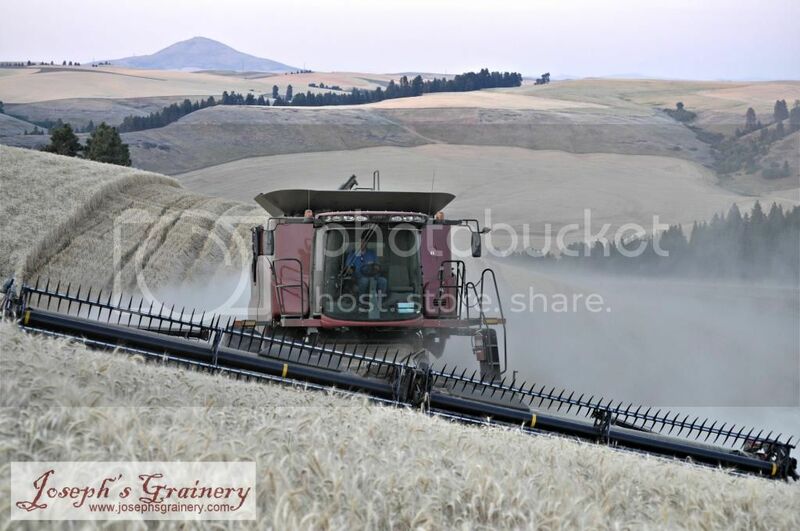 The combine empties a load into the waiting grain buggy, which will take the grain to the bins for storage. An air conditioned office on wheels with one pretty magnificent view. 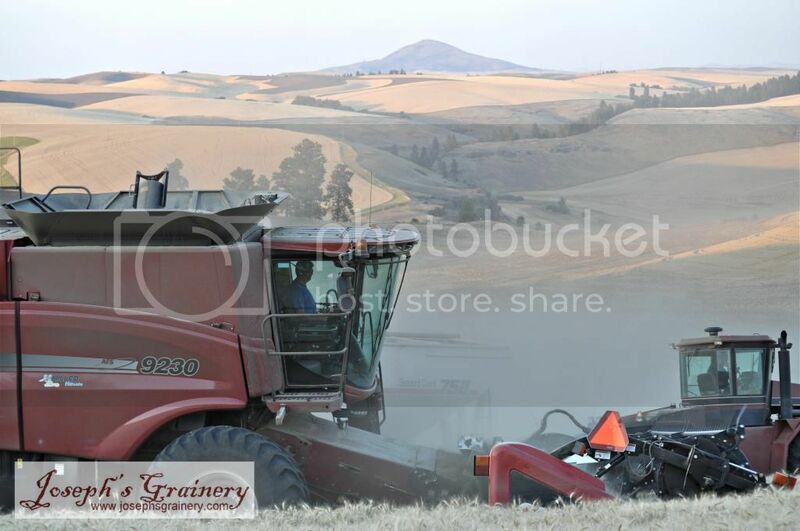 Steptoe Butte lies in the background.